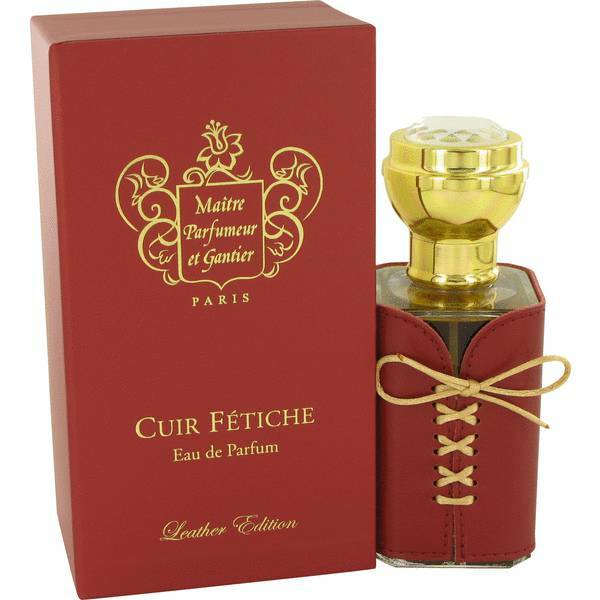 Cuir Fetiche Perfume by Maitre Parfumeur Et Gantier, Cuir Fetiche by Maitre Parfumeur et Gantier is a perfume that combines the smell of leather with flowery and sweet tones, making it a timeless and sophisticated fragrance that appeals to a range of people. Its top notes comprise bergamot, lemon, geranium and red mandarin. The heart notes are jasmine, iris, ylang-ylang, rose and leather and the base notes consist of ambergris, patchouli, sandalwood and musk. Jean-Francois Laporte founded Read More Read More Maitre Parfumeur et Gantier in 1988 and the brand launched its first scent, which was one of 28, the same year. Inspired by traditional 17th century French perfume, the company’s store in Paris replicates a Parisian perfume salon from that era. Cuir Fetiche was launched in 2011. The packaging of the fragrance also reflects the refined style of the brand. Every bottle has a gold top containing a Swarovski crystal and the leather grain paper, lining the crimson box, completes the look. All products are original, authentic name brands. We do not sell knockoffs or imitations.